Plant scientists get genomic about weed management. Pesky plants like waterhemp, horseweed, and cheatgrass have made their way into crop and rangeland all around the world. With their fast-growing and prolific presence, weeds often cause crops to grow tall and spindly, leading to poor crop yield. Horseweed, for instance, has been shown to reduce soybean yields by 83 percent. Herbicides can help combat the problem, but a growing resistance to the chemicals is making weed management increasingly tough. Ian Heap is a weed scientist who runs weedscience.org, a website that tracks herbicide resistance around the world. 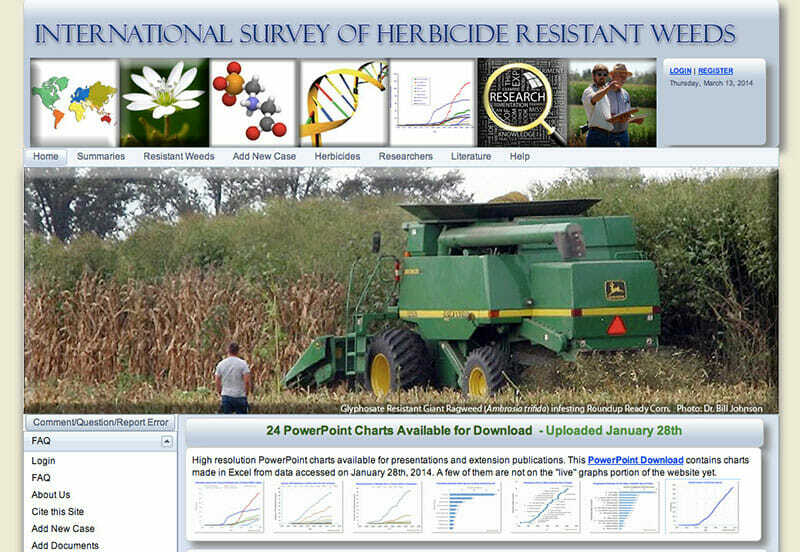 Over 400 scientists feed Heap data on which weeds have become immune to herbicide. Which is why some scientists have started to think smaller. Microscopic, even. Within the last ten years, a few dozen scientists have turned to genomics to understand why some weeds have developed herbicide resistance or become more invasive. Within the last ten years, a few dozen scientists have turned to genomics to understand why some weeds have developed herbicide resistance or become more invasive. Genomics’ time in the spotlight is largely due to media buzz around The Human Genome Project, a massive international effort devoted to unlocking the secrets of human DNA. But plants have genomes, too. Put simply, a genome is the blueprint for an organism’s bloodline – the traits passed down from parent to offspring. It’s usually encoded in the DNA. Using different DNA sequencing techniques, some have partially or fully mapped various crop weed genomes. And while the expensive endeavor can’t offer immediate answers to the problems farmers face in the field, it can provide data to make more effective herbicides down the line. Waterhemp produces millions of seeds and germinates multiple times in a growing season. This has given it remarkable genetic diversity. It has a quick and cunning ability to adapt to its surroundings, and has even developed a resistance to the active ingredient – glyphosate – in Monsanto’s herbicide Roundup. “You can’t spray your field once and solve the waterhemp problem. The next time it rains more will come up,” says Tranel. Back in 2009, Tranel’s lab randomly sequenced the waterhemp genome to look for genes that might be involved in herbicide resistance – that means they sequenced only parts of the genome, rather than the whole thing. Mapping the entire genome was (and is) too costly, but the shotgun approach gave enough insight into waterhemp’s genetic makeup to test for specific mutations that nullify the effects of glyphosate and other herbicides. Although Tranel would like to map the whole genome of waterhemp, a lack of available funding and affordable DNA sequencing techniques make it difficult to carry out. Glyphosate resistance isn’t unique to waterhemp; almost 30 weed species around the world no longer respond to Roundup. Though only about a handful of weeds cause serious damage for farmers, understanding which genes are responsible for this evolutionary adaptation is critical for future weed management. Neal Stewart realized this early on, and when the glyphosate-resistant horseweed made its way to Tennessee in 2002, his interest was piqued. In 2005, the plant scientist’s lab at the University of Tennessee began coding the horseweed genome. Over the years, much of Stewart’s funding has come from Monsanto along with the U.S. Department of Agriculture (USDA) and the Tennessee Soybean Promotion Board. Horseweed will be the first crop weed to have its entire genome sequenced, with Stewart hoping to publish his results later this year. Farmers use Roundup on millions of acres of cropland around the United States and the world, its reach far surpassing any other frequently used herbicide. Though Stewart’s lab is driving the work, scientists everywhere, including those at Monsanto, will have access to the genetic information when it’s released to the public. “By studying resistance mechanisms we’re hoping to understand these kinds of weaknesses for the farmers’ benefit,” says Doug Sammons, a chemist at Monsanto who has partnered with Stewart for the last ten years. The horseweed genomic information will likely help determine the best methods to manage the weed rather than just new herbicide discoveries. Though mapping weed genomes helps scientists learn more about herbicide resistance, not all weeds are good candidates for sequencing. Some, like cheatgrass, have a massive amount of genes in its genome, making it simply too costly to map given current technology. The rangeland weed wrecks particular havoc in the western states like Idaho, Utah, Nevada, Colorado, Arizona and New Mexico, and is a major fuel source for rangeland fires. 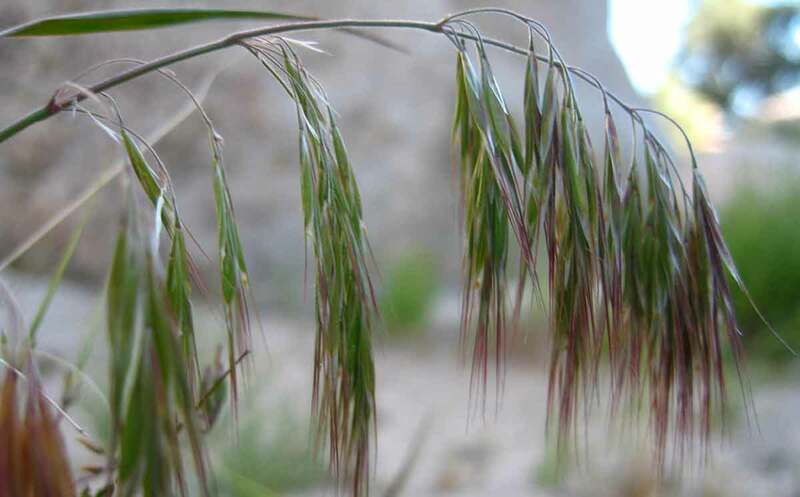 Still, sequencing the genome of cheatgrass “never crossed my mind” says Coleman. Instead, Coleman and his collaborators at the USDA Forest Service have mapped the genome of a fungus they call “The Black Fingers of Death,” for the pathogen’s black strings that engulf and destroy cheatgrass seeds, but don’t affect other crops. The fungi’s genetic information has helped the scientists identify certain genes that might produce seed-killing toxins. But genomics is not a magic pill. Even if we knew the genetic information about every weed we know of now, it wouldn’t solve the problem. Adaptive by nature, new weeds like waterhemp will surface. Farmers have to use resources like Heap’s website, genetic advances and traditional weed management techniques like tillage and even hand weeding to combat the pests. For now, scientists are eagerly awaiting cheaper, improved DNA sequencing technology to help further their projects. “The USDA is definitely interested in weed genomics,” says David Horvath, a research plant scientist with the organization. On his radar is technology from Pacific Biosystems and Oxford Nanopore Technology, both companies that produce technology that could make sequencing work easier and more accurate. In the meantime, farmers are left with current herbicides. The dream? That work done by his lab and other scientists will help chemical companies develop herbicides that target specific genes, akin to designer drug development in the pharmaceutical industry. “That’s our hope in the long term,” says Horvath.